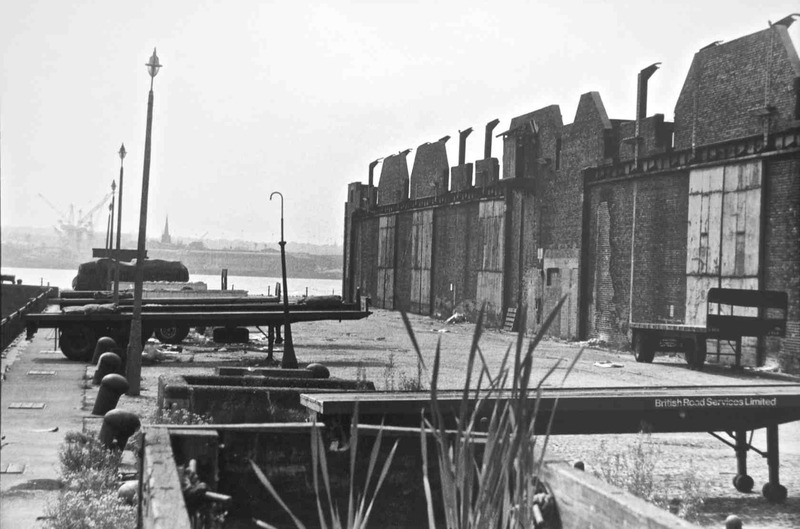 I am fascinated by Liverpool’s docks. As well I might be, since there would be no Liverpool without them. 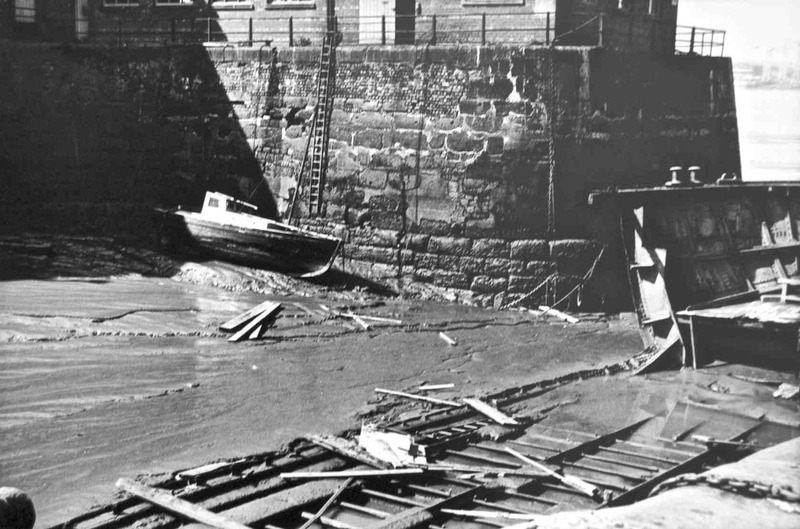 The idea of a commercial wet dock controlled by floodgates was invented here in 1715 after all, and all of our subsequent prosperity, for good and ill, flowed from that. 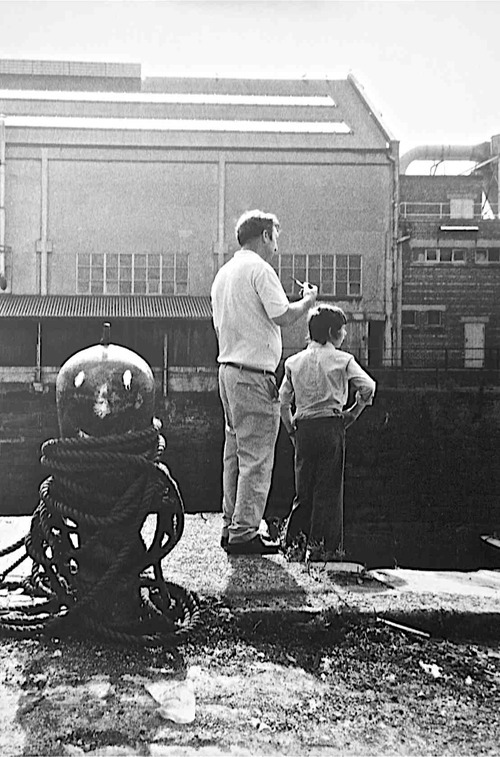 As a boy, growing up in the north of the city and with a father and mother who both came from down by the docks, I saw a good deal of the North Docks as a child. Once I even remember me and my Dad getting into one of them and walking around it one quiet Sunday afternoon. 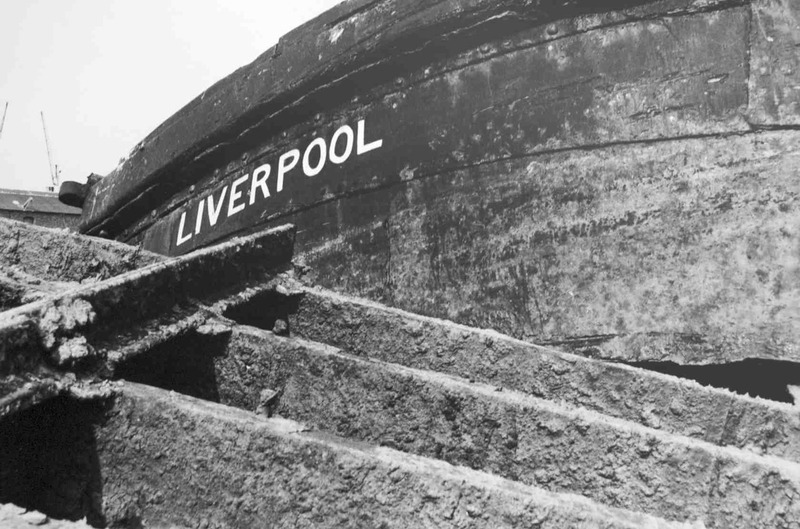 There wasn’t much going on that day but mostly I remember ship’s funnels over the dock wall, busy activity along the dock road and lists of ships coming into and out of port still being printed on the front of the Liverpool Echo every day. But I didn’t even know there were South Docks too. 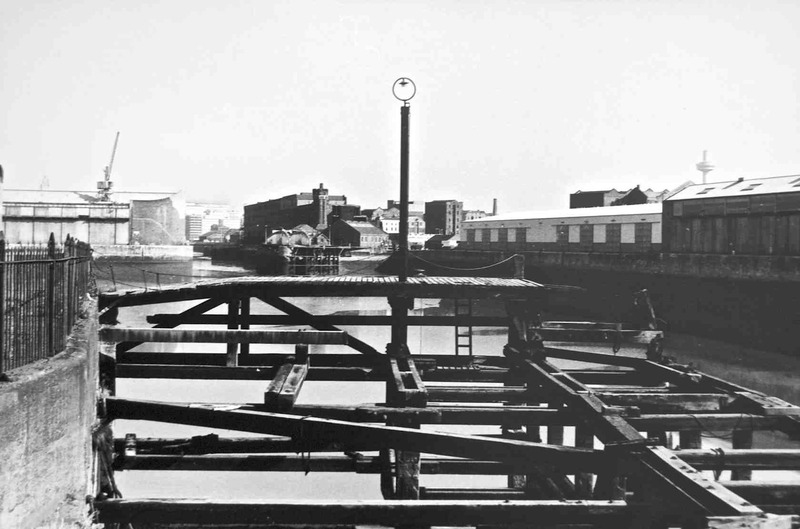 I knew there was something called the Albert Dock, next to the Pier Head in town where we’d go to catch the ferry to New Brighton or Seacombe for days out. But it was all locked up behind a high wall and so I managed to completely blank it from my childhood landscape. Other than to assume that’s where the Docks stopped. 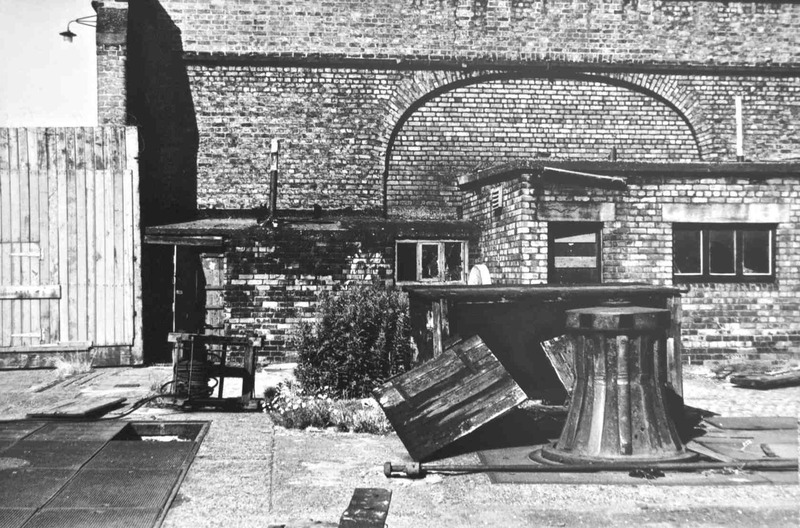 They were very quiet that day in the mid-sixties, though still a few ship’s funnels visible over the Mersey Wall, but nowhere near as quiet as they’d be ten tears later. 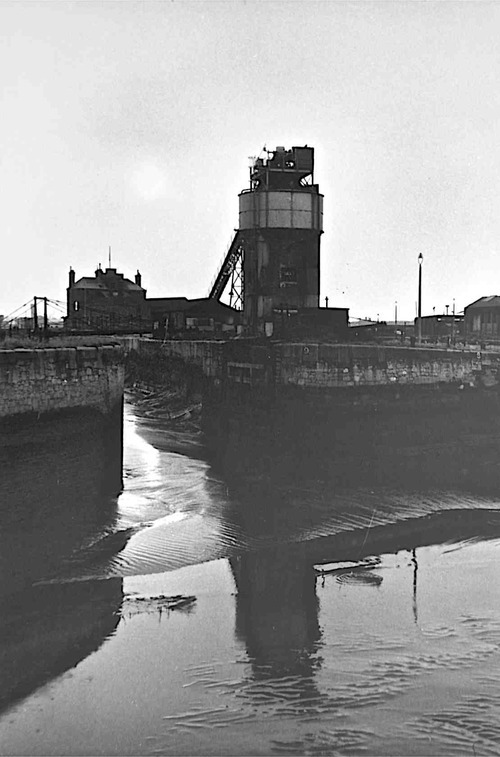 As I’ve written in two South Docks posts so far, one about their working history and one about how they are now, there came a grim day, early in the 1970s, when traffic at the docks had slowed to virtually nothing. 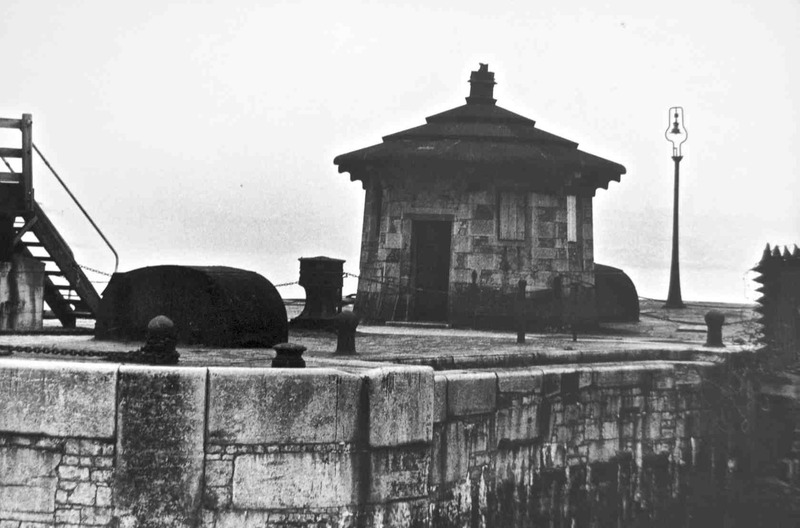 And the decision was taken to open the great floodgates at the Brunswick Dock and leave them that way, so the whole now deemed useless South Docks system would silt up. 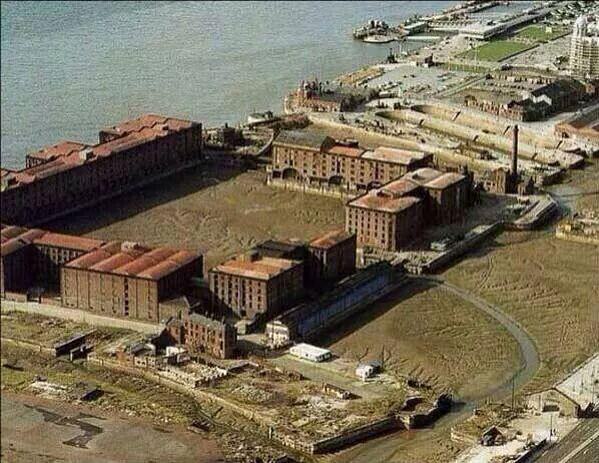 Which it duly did as you may remember from this dramatic aerial photograph of the Albert Dock from then. 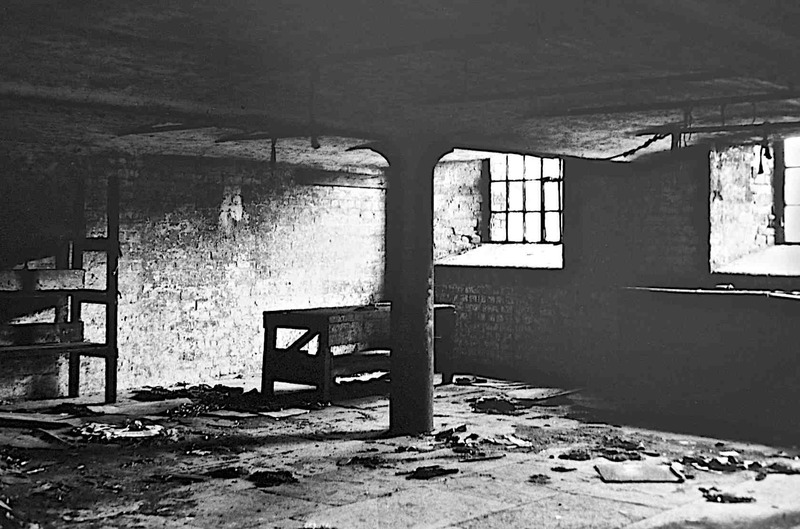 I did get into the South Docks once in those silted up years, but I had no camera with me and my memories of the dying place were bleak, vague and fading. Until now. 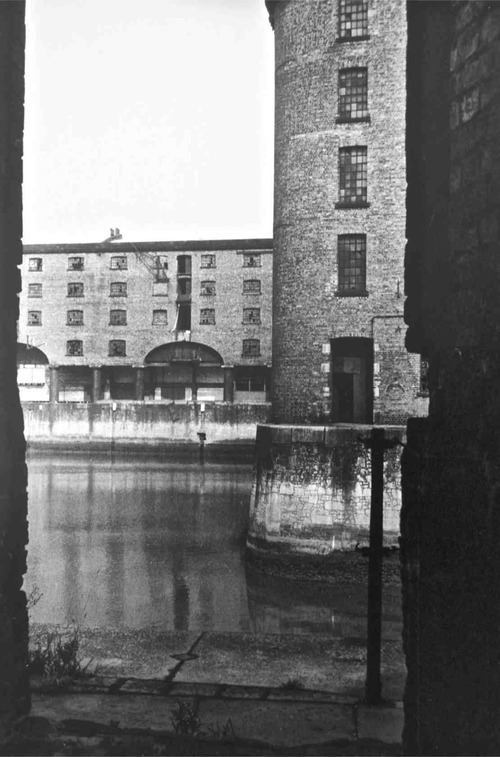 Because in nosing around for that Albert Dock photograph I came across a whole album of images I wish I’d had the wit and skill to take myself, all those years ago. These photographs had been taken by someone just getting going with her photography, Tricia Porter, who it turned out had since spent her life as a working photographer. So I wrote to her and asked her if I could share her precious photographs on here. And she said yes. In a break with my usual habit I’m not going to say anything about these pictures as we look through them. 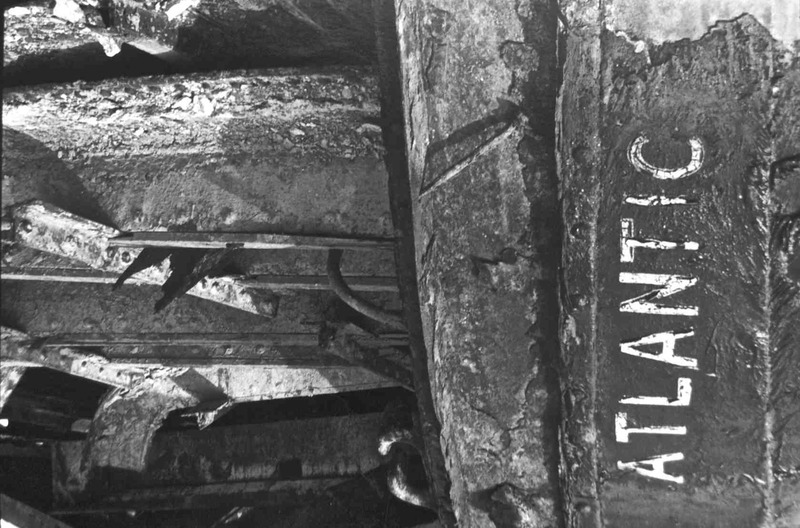 We will look through them in silence, to see how it looked and feel how it felt in those forty years ago days when the South Docks were dying. Here are Tricia Porter’s photographs. Some places now very, very familiar, but seen like in a dreamtime. Some now so changed I can’t work out where they were. And some almost returning to nature in their complete abandonment. Yet there are people there. Let in by accident or guided by fascination. To fish, some still to work, some watching, one with a camera. 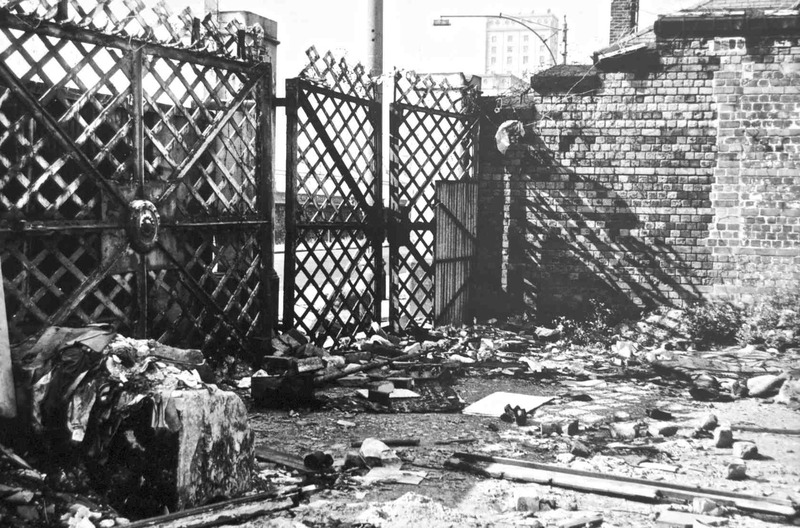 One sunny day in 1975 as the South Docks were dying. Thank you for letting me share these Tricia. Such a privilege. The summer these were taken I was 21 and not so far away. 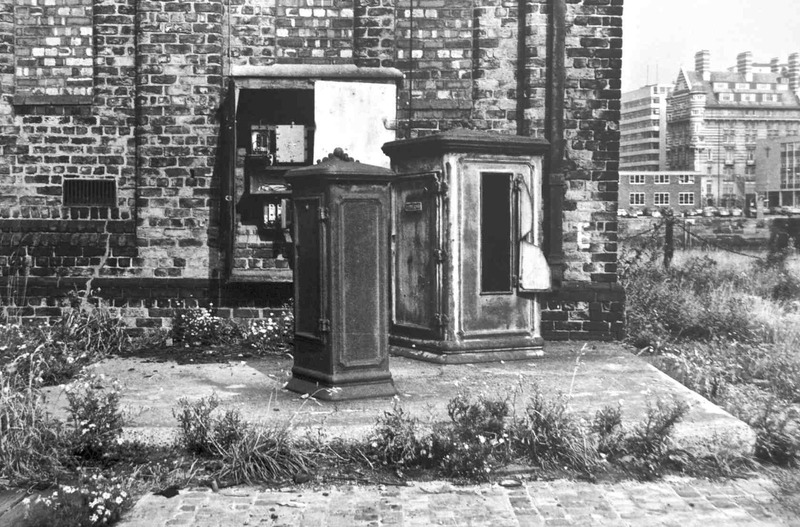 Just up the hill in Falkner Square, talking my way into Liverpool Housing Trust in the then crumbling streets of Canning. And Tricia Porter was round there too. I’ll be there. Wouldn’t miss that for anything. And the South Docks? Well they didn’t die, not quite. And they’re having a very different sort of life now. Mostly filled with water again, home for thousands, leisure for millions and there are even boats of a sort. But the few dockers we have left are miles away now in the container port at Seaforth. Time changes everything. But if time, fashion, politics, ecology or the economy were ever to leave those gates open again? Well we know now exactly how this would all look very soon afterwards. 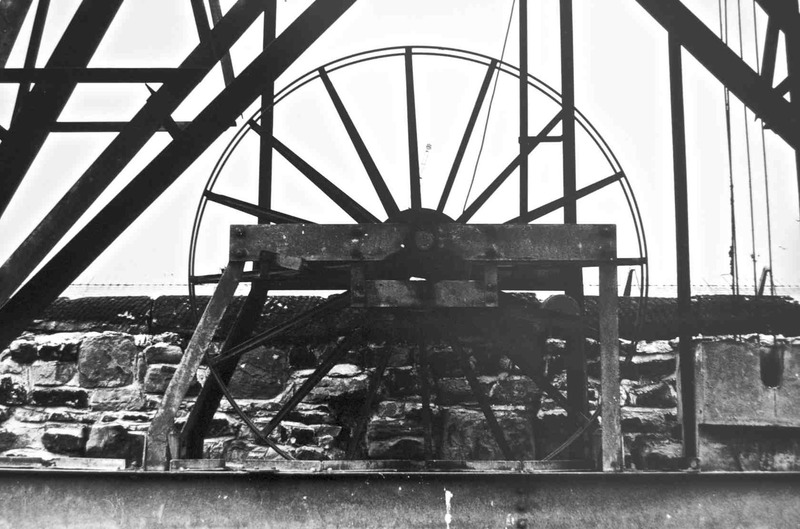 All monochrome photographs on here © 2013 Tricia Porter and used with her permission. See more of her work on her website and at The Bluecoat in Liverpool, from 4th April to 4th July 2015. 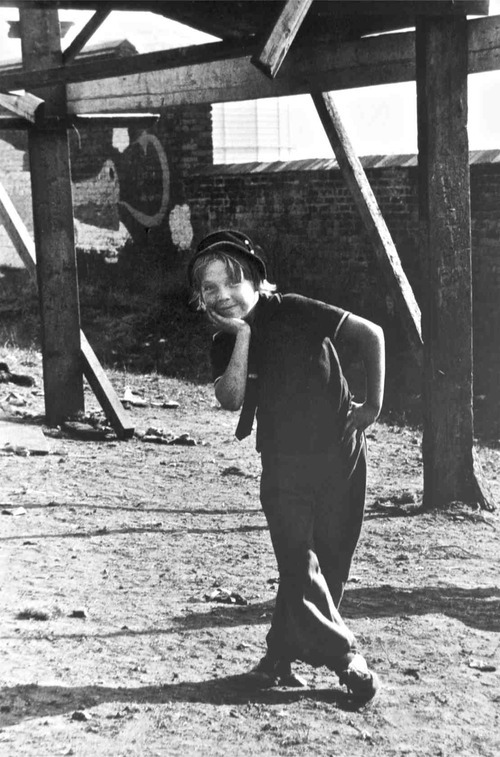 See also my other South Docks posts: In Liverpool: The South Docks and ‘Where do the children play? First of all the photos are stunning. A good deal of what you write in the blogs draws a parallel to what I’ve experienced in and around Chicago for all my 65 years. I can compare the docks to our steel mills that have just evaporated for the most part. Having to live in the future has been rough on my friends and me. We understand well how and why things change but some things leave a hole in the heart and consign us to a never ending state of mourning and reruns of the heart. I’m fascinated by the south end as well like Hurculaneum and Toxteth. The abandoned Dingle tunnel and the neighborhood above it interest me. Thank You Mitch, so quick to see them all the way over there. 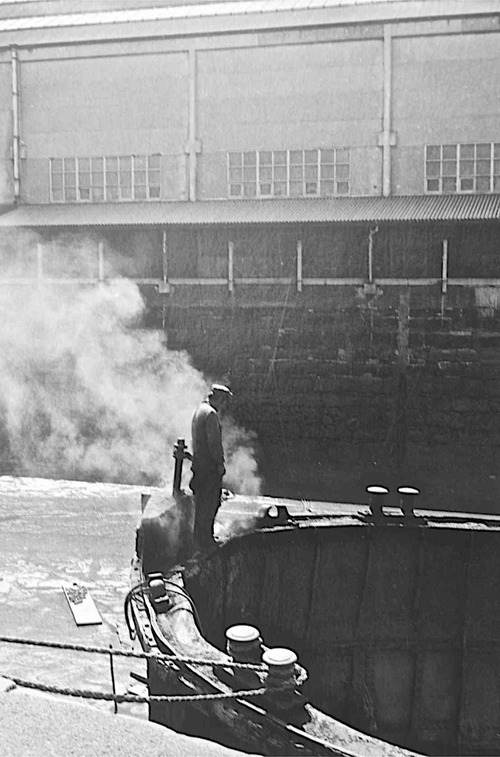 But yes, the photos of industrial decline and destruction are savagely beautiful aren’t they. I was standing on top of the Dingle tunnel on yesterday’s walk, looking down at the South Docks and hoping Tricia might let me use her photographs. So It was great to get her email today and be able to show you what she did all those years ago. Haunting images! She even caught an “Artful dodger” lookalike in one. 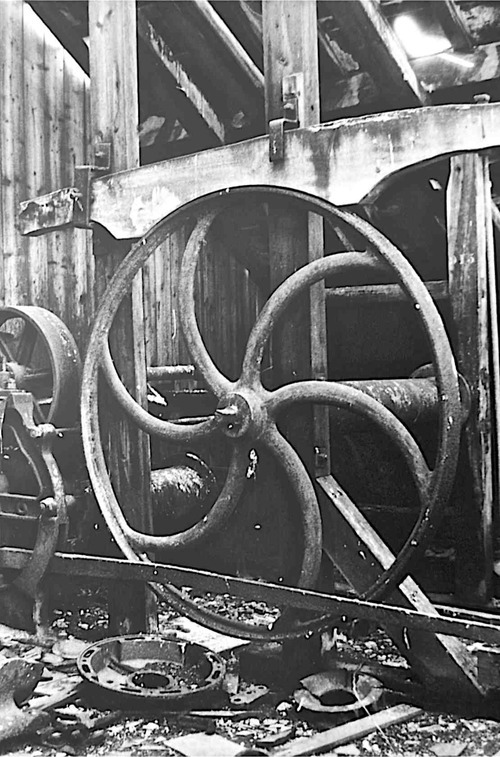 Industrial decline but at least regenerated for a different purpose. 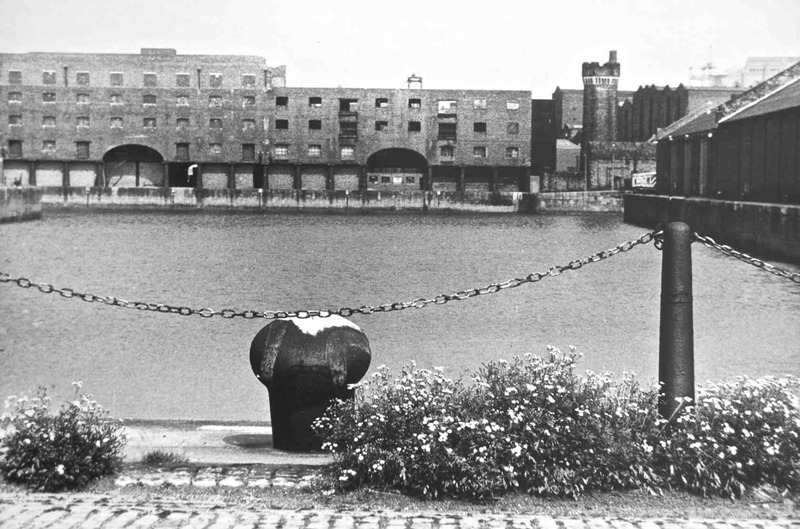 In the very early 90’s we always parked at Albert Dock when we went to town and complained about paying to park on such dangerous, in parts, wasteland. I am glad it was saved and “done up”, but not sure what both my grandads and father in law, who were dockers, would have thought of it though. I’m often not sure what I think of it! But I’d hate it if it had all gone or been concreted over. 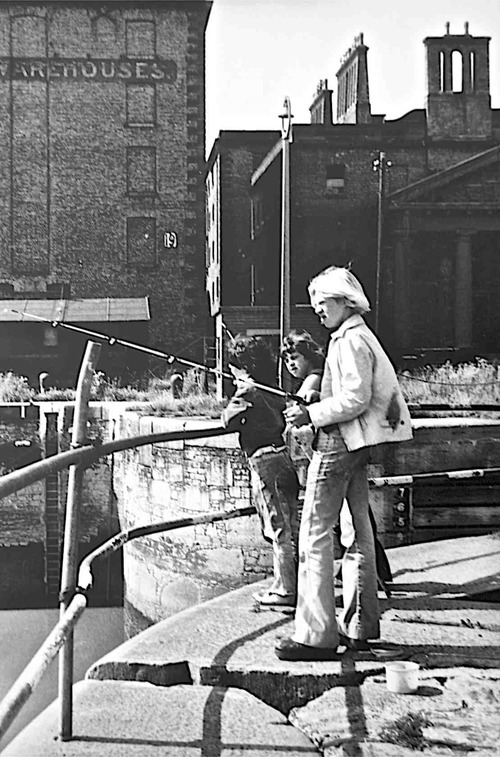 The docks between Albert & Queens were pretty much off limits during the late 70’s but further south it was quite easy to ramble about. 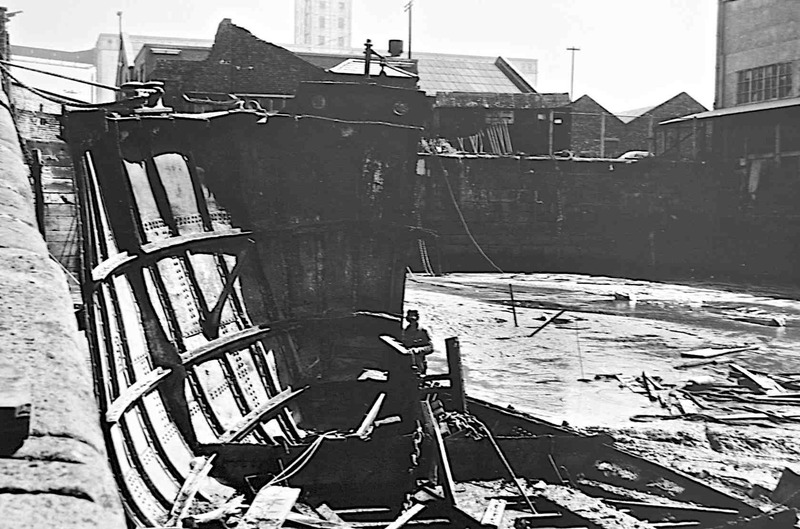 I started going out on my mates boats in ’75 & can remember the big ‘dumb’ grain barges being brought into the ‘Cockle Hole’ to be broken up. The huge baulks of pitch pine that lined their insides were being burnt. 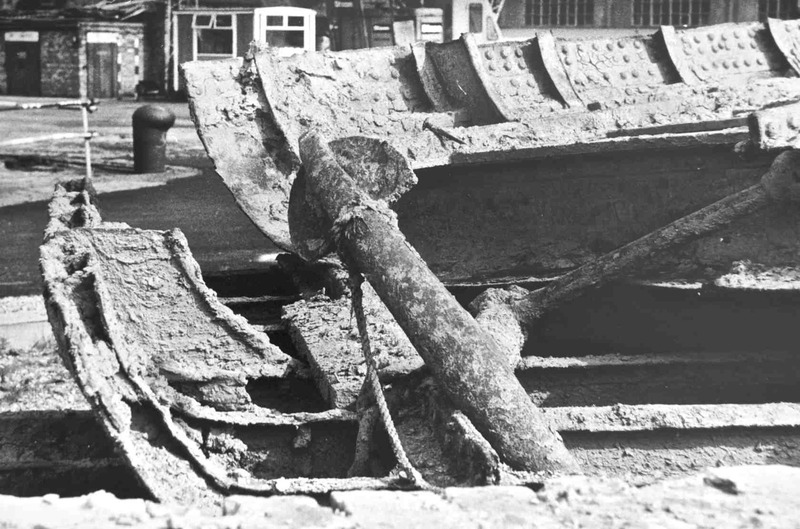 However some ‘floated’ away and were used in boat repair projects by the group from the Dukes Sailing Club based in the Coburg. 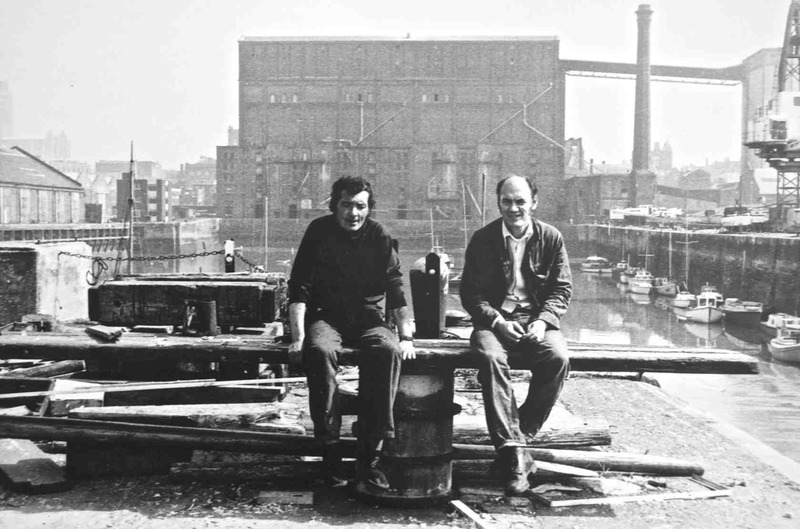 These were a disparate group from all walks of life from dockers to chemists to writers. I was one of the babies at 20 & I often sailed with old fishermen in their 70’s. They could tell tales of better times in the south docks and I could probably write a blog on those small boat owners who enjoyed those last few years of decline before renovation started. I have few images from that time as film was expensive and my medium was transparency. I retrieved some from the loft a while ago & notice they are losing their colour. 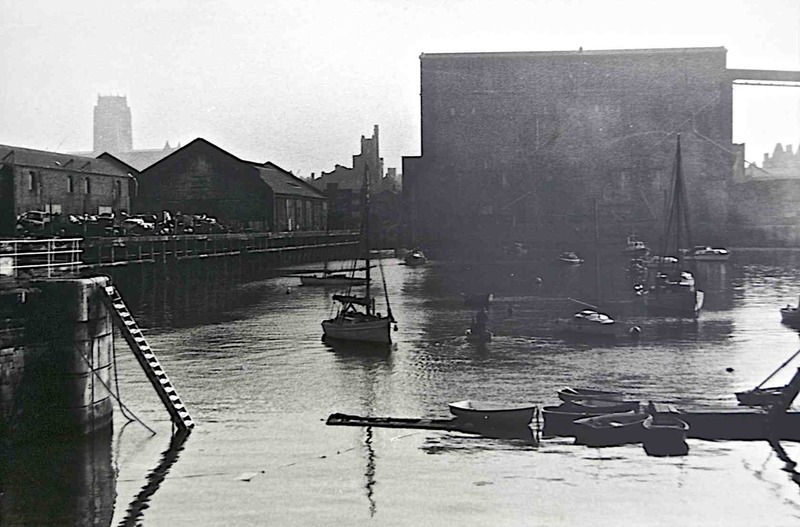 Did you know or remember that at that time the Dock Board issued photographic permits? 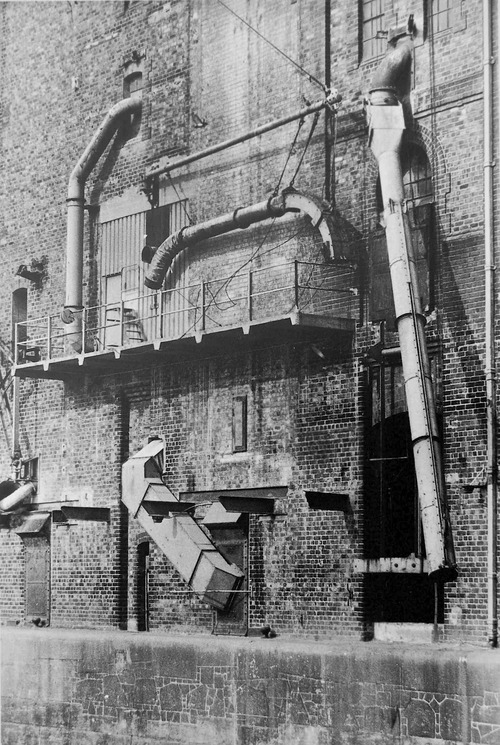 This allowed you pretty much free access to the North docks. 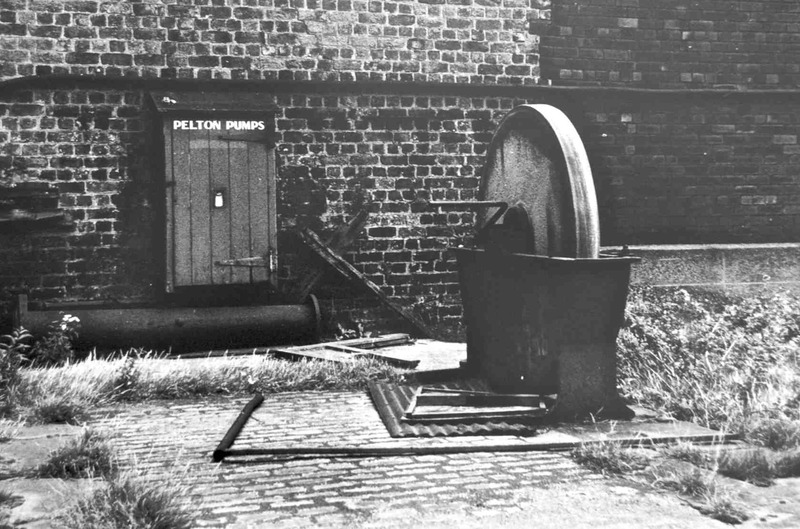 When out of work in the early 80’s & with nothing better to do I would walk from home in Litherland down to Gladstone & through the system to Princes. I’d then cadge a lift from my father on his way home from work. I’ve to take my wifes car for service so I’m going to the South docks tomorrow morning to be ‘fascinated’ once again…. That’s brilliant John. Maybe you would, in fact, like to write a guest post on here about those ‘last few years of decline’ and use the photographs you took? 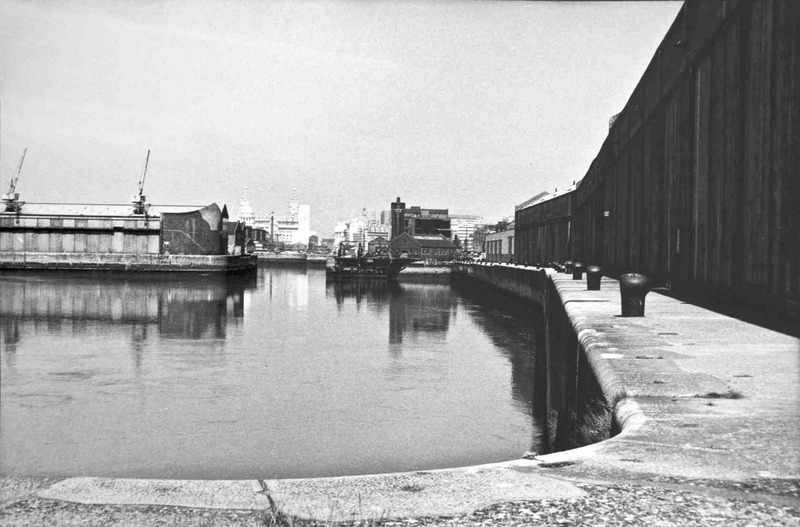 And I’d love to get a photo permit now for the North Docks if the modern Docks Board (Peel) would oblige? 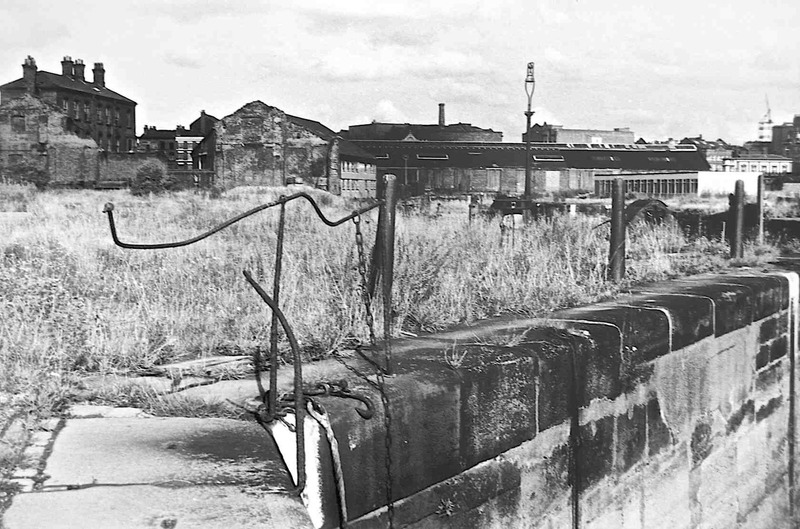 By the way, for readers who wonder about this wonderful ‘Cockle Hole’ see John’s comment and my photo of it now, sad and privatised, on the previous South Docks post. Now there’s an idea, a guest post, I’m honoured! I started to scan in some of the remaining photos last year then got distracted. I committed an act of regretted vandalism by throwing out many of both my fathers & my own photos when I cleared his loft when he passed away many years ago. Possibly in this haul were negatives from D-Day to Berlin which I never thought to look for. I could kick myself now. Will think about the post idea in due course. Thank you John. It would be a great addition to this South Docks story, a real insider’s tales of the days of decline. Enjoy looking around there today and let me know what you’d like to do next. 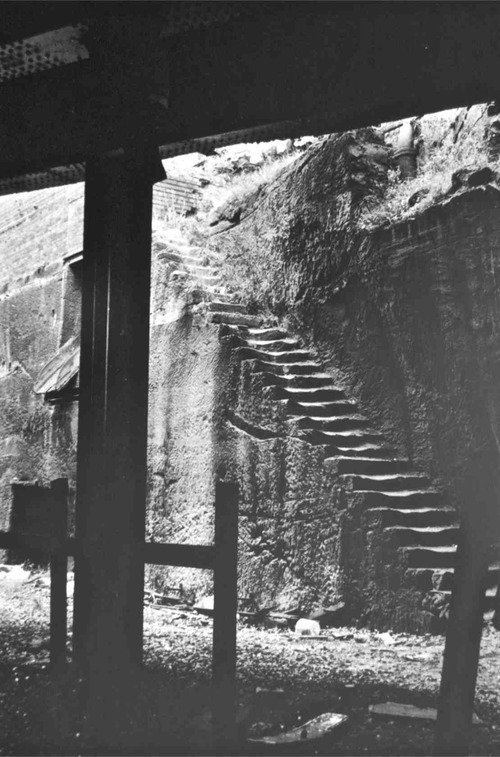 Amazing photos, especially the ones where I recognise the sites of today! 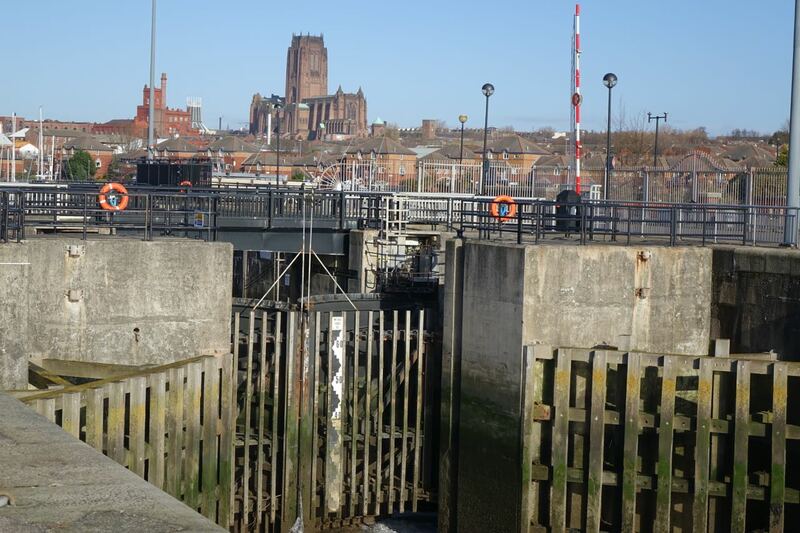 Until a few years ago I assumed that the docks had silted up naturally due to the decay of the gates, and lack of dredging and maintenance. Would the deliberate silting have been seen as a better/cheap way of reclaiming the land in preparation for as yet unplanned future developments? 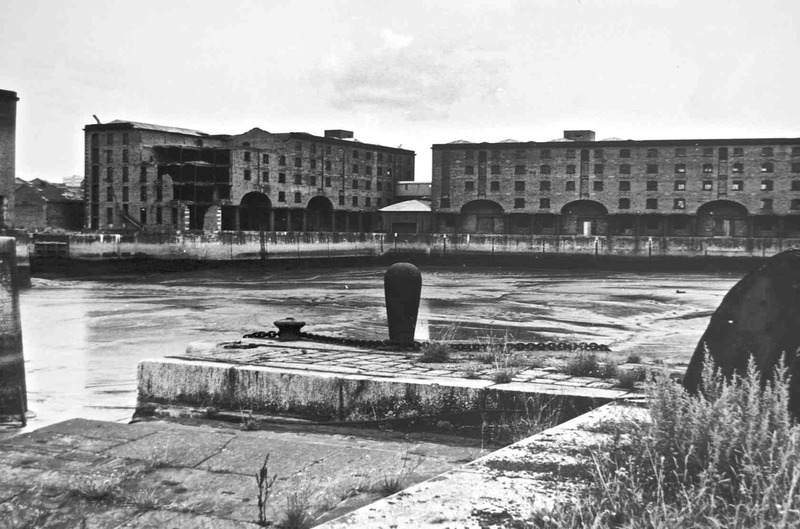 Anyway, I’m glad they were restored, and I’ve always loved the Albert Dock, though I’ve not got the emotional connection to their former use as many might have, and I know that can make a bittersweet difference. 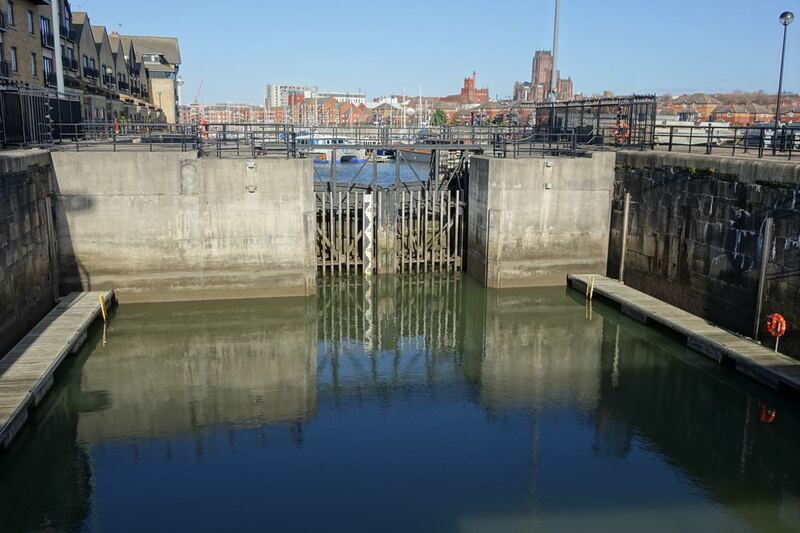 In Bristol there is the floating harbour, whereby a huge portion of the river was turned into a giant dock with a lock at one end, keeping the water level constant. There were plans in the 60s and 70s to concrete over the entire thing to use for building (or, more likely, car parks). 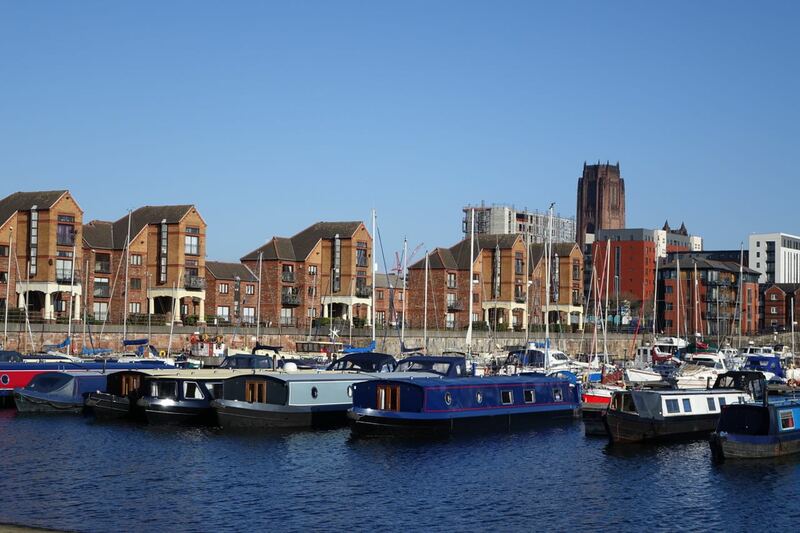 The floating harbour has a similar feel today to the Albert Dock, and just having a little bit of water within the town makes a massive difference to the ambience of the place. Looking forward to John’s guest post too now! Hi Martin, yes John’s post sounds like it will be a gem – won’t it John? What is it they say. A volunteer is worth two press(ed) men? Living history. Savage beauty indeed. This is where the internet comes in to its own doesn’t it, allowing us to connect people through their passions? A wonderful post once again, Ronnie. Thank You for sharing such great photos and stories….My Dad was a officer in the Merchant Marines and my mother lived in Seaforth….My Dad often recalls his adventures at sea and describes his memories of the different ports he visited during his 7 years in the service….But none was as special as the docks in Liverpool where he met my mother….at the Atlantic House and they married and eventually immigrated to California.I look forward to sharing this post with my parents….